This is the band “Sidewinder” – they are part of the 571st Air Force Band, 131st Bomb Wing, Air National Guard. They are deployed as the U.S. Air Forces Central Command Band. Absolutely amazing – not only are they proud members of our armed forces, they are incredibly talented! Our second BBQ of the year! It’s a great time and very important to support the post. We bring over a busload of veterans from the Coatesville VA and provide them all with chicken lunches – it’s a great way to give back to those that have sacrificed for our freedom. If you want to help, the cooking crew fires up the grills at 6am – see Carson Kauffman for more information. The Ladies Aux. will start setting up around 10m, and you can check with Kathy Kauffman to help the ladies. We can also use runners all day, and anyone is welcome to help serve the vets! We’ll also be hosting our very special guests from the 3622nd Maintenance Company from Fort Indiantown Gap that are coming all this way to paint our tank for us! Come give them a heroes welcome! If you just want to purchase a dinner, they go on sale at 11am. Get there early – we usually sell out! We are saddened to learn of the loss of long-time member Tony Miller. Tony was an active member of the post and often helped at our ceremonies and events. He will be sorely missed, and our thoughts are with his family. 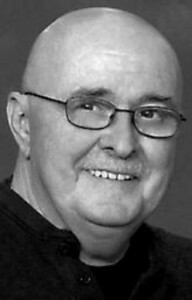 Leroy “Tony” Miller, 63, of Holtwood, died unexpectedly on Sunday morning, July 31, 2011. Tony was, among other things, a Vietnam Veteran, recipient of a purple heart, an aluminum worker, a family man and the partner-in-crime of an oversized German Shepherd. He was also the devoted father of four lucky children and the stepfather of two others who never felt the distinction. He was the husband of Eileen Miller, a woman who justifiably felt there was no more compassionate soul to be found. He brought joy, humor, and earthy wisdom to everyone he touched. Born in Lancaster, he was the son of the late John and Dorothy Stumpf Miller. He resided in nearly every neighborhood of town, before moving to the country to find a quiet place to raise a family. Tony was a past-president of the Otter’s Club and an active member in the Millersville VFW. Tony liked to drink cold beer. He was fond of cooking Sunday dinners, especially those that included pork, sauerkraut and other German fare of his own invention. Much to the chagrin of relatives invested in professional sports, Tony was an avid Dallas Cowboys fan. He enjoyed spending time with his family, cruises, gambling, carpentry, hunting, fishing and being outdoors in summer heat. He would do anything for you. Perhaps more than anything he’ll be remembered for his laugh, an infectious sort of belly laugh that ended in a high-pitched wheeze, and, if properly stoked, the most genuinely joyous tears. Luckily for those who survive him, he was a man who laughed loud and often. In addition to his wife, Tony is survived by his children, Gary W. Miller of Alabama, Tonya wife of Russ Sexton of Mountville, Michele wife of Matt Sipel of Holtwood, Kimmie D. Miller of Wilmington, DE, Amanda wife of Orlando Cruz of Lititz and Matthew Johnson of Lancaster. Also surviving are his four brothers, Gene Miller of Columbia, Chet Priest, John Miller, and Paul Miller, all of Lancaster; a sister, Dottie Wittlinger of Lampeter; and nine grandchildren, Brandon, Chaya, Jorden, Mercedes, Emily, Hunter, ZJ, Parker and Charlee. He was preceded in death by his sister, Gladys Novack. Tony’s Celebration of Life Memorial Service will be held on Saturday, August 6, 2011 at The Groffs Family Funeral & Cremation Services, Inc., 528 W. Orange Street (at the corner of Orange & Pine Sts. ), Lancaster at 11:00 a.m. with Pastor Steve Taylor officiating. The family will greet friends from 10:00 a.m. until the time of the Service. Interment will be private. In lieu of flowers, Memorials may be made in Tony’s name to The Vietnam Vet Memorial Fund, 2600 Virginia Avenue, Suite 104, Washington, DC 20037.